Each pore on the surface of the skin is an opening to a canal called a follicle. 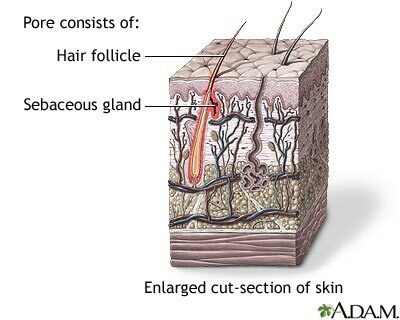 The follicle also contains a hair and an oil gland (sebaceous gland). The oil gland helps remove old skin cells, keeps the skin lubricated, and prevents drying of tissues.